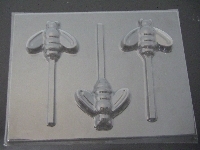 Animal & Insect Theme Molds. Click on a mold picture to see more details and finished product photos. FDA approved plastic for both chocolate and hard candy molds. 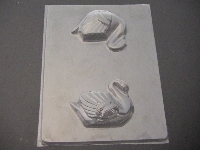 Swan 3D Chocolate Mold. Approximate Size: 3.75 x 2.75 inches. Ladybug Chocolate Mold. Approximate Size: 1.25 x 1 inches. 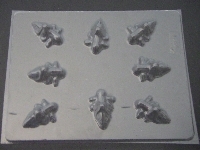 Fly Chocolate Mold. Approximate Size: 2.25 x 2 inches. Also Available in Hard Candy Molds. Grasshopper Chocolate Mold. Approximate Size: 2 x 1.25 inches. 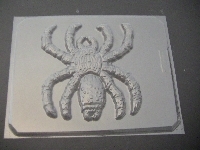 Black Widow Spider Chocolate Mold. Approximate Size: 2.5 x 2 inches. Also Available in Hard Candy Molds. 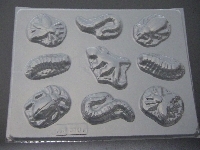 Creepy Crawler Bugs Chocolate Mold. Approximate Size: 2-3 x 1-2 inches. Garden Bugs Chocolate Mold. Approximate Size: 2-3.5 x 2 inches. Also Available in Hard Candy Molds. 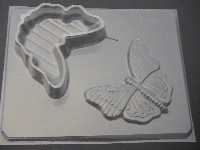 Butterfly Pour Box Chocolate Mold. Approximate Size: 4.5 x 4.25 inches. Butterfly Small Chocolate Mold. Approximate Size: 1.25 x 1 inches. Butterfly Chocolate Mold. Approximate Size: 3.5 x 2.75 inches. Also Available in Hard Candy Molds. 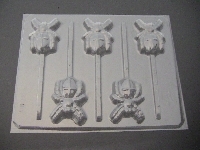 Bite Size Bees Chocolate Mold. Approximate Size: 1.5 x 2.25 inches. Cute Bugs Chocolate Mold. Approximate Size: 2.5 x 1.75 inches. 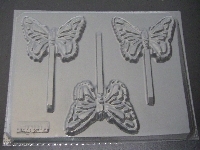 Buttefly Chocolate Mold. Approximate Size: 3 x 1.25 inches. Bee Chocolate Mold. 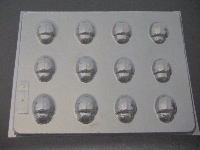 Approximate Size: 2.5 x 2.75 inches. Also Available in Hard Candy Molds. 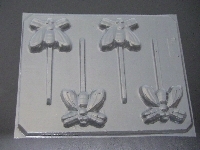 Dragonfly Chocolate Mold. Approximate Size: 2.75 x 2.5 inches. Also Available in Hard Candy Molds. Bat Chocolate Mold. Approximate Size: 2.5 x 1.25 inches. Also Available in Hard Candy Molds. Bat Large Chocolate Mold. Approximate Size: 4 x 7.5 inches. Bat Chocolate Mold. Approximate Size: 2.5 x 3 inches. Also Available in Hard Candy Molds. Spider Web Chocolate Mold. Approximate Size: 3.25 x 3 inches.